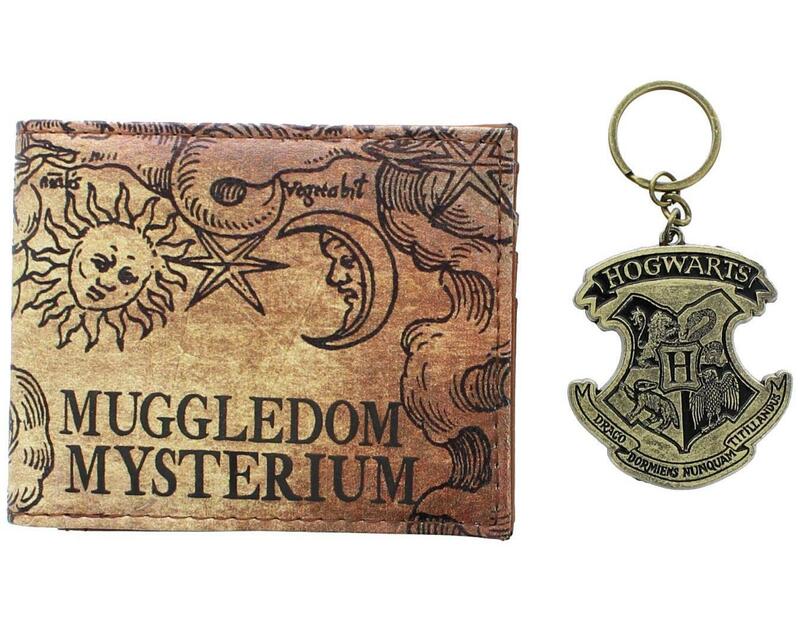 Show off your love of Harry Potter with this stylish wallet and keychain set! 4" x 3.5" (folded) PU Polyester bi-fold wallet features the embossed text "Muggledom Mysterium" on the outside and an embossed Harry Potter logo on the inside. Wallet has three horizontal card pockets, two vertical card pockets, one transparent ID window, and a full size bill compartment. The real metal keychain measures 2" x 2" and features the Hogwarts Crest. Show off your love of Harry Potter with this stylish wallet and keychain set! 4" x 3.5" (folded) PU Polyester bi-fold wallet. 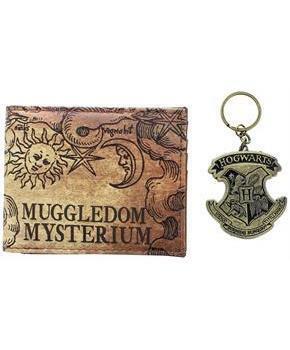 Wallet features the embossed text "Muggledom Mysterium" on the outside and an embossed Harry Potter logo on the inside. Wallet has three horizontal card pockets, two vertical card pockets, one transparent ID window, and a full size bill compartment. Real metal keychain measures 2" x 2" and features the Hogwarts Crest.